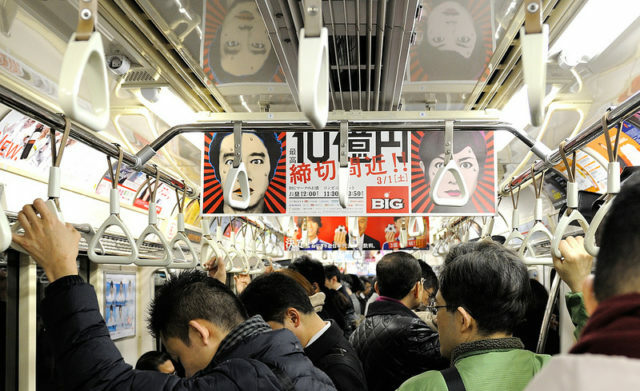 Multi-tasking mucus has commuted from the nose to stomach this morning in the Tokyo peak hour rush whilst simultaneously travelling from Ikebukuro to Shibuya. Soon after arriving at the stomach the sputum quickly made the return journey back up through the oesophagus to the nasal region. The industrious phlegm triggered a spate of productivity amongst its peers with the carriage being filled with the omnipresent sound of hard work. “It was astonishing to hear all that effort reverberating throughout the carriage when it could have easily been cut short with one single blow,” said Bob Lumley. The mucus received little relief during the day working well beyond scheduled working hours with no breaks and no extra pay.